A certificate of recognition for a job well done is a great way to stimulate follow-through and reinforce participation. 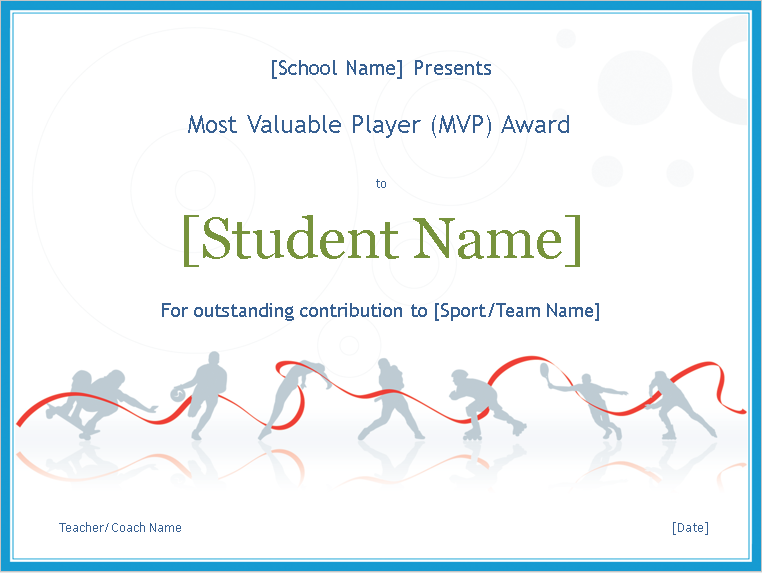 To reward a student with something tangible like a certificate allows the student to display his or her accomplishments. They can show their parents, siblings, peers and most importantly themselves, by hanging it up on their wall. It is also a great way motivate students to set higher expectations for themselves and their peers. Implementing a reward program is beneficial not only for the student but for those around them. The student is acknowledged for a specific behavior. This makes the student feel connected and valued, which is a basic human need. When a student is positively reinforced (by receiving a reward), this motivates others around them to want to succeed as well. The achieving student realizes what he or she can accomplish and this motivates them to continue to want to succeed. SimpleCert makes it easy to create student award certificates such as: Math Wonder, Rocket Scientist Award, Best Handwriting Award, Grammar Master, Reading Rockstar, Perfect Attendance Award, Best Citizenship Award, Most Improved Award, Most Valuable Player, Student of the Month Award to name a few. Certificates can also reward the giver…..
SimpleCert is excited to offer you an easy way to build, send and store your certificates. If you want to subscribe to our email list, please submit the form below.